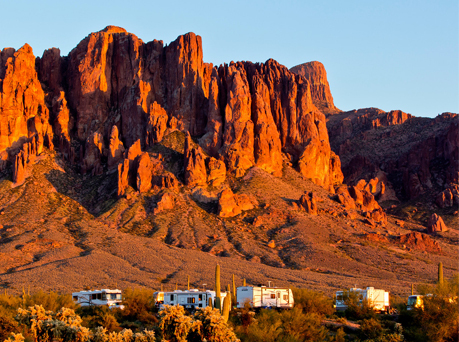 With 134 sites with picnic tables, barbeque grills, and fire pits, Lost Dutchman State Park is an ideal place to escape the city and enjoy the desert scenery. 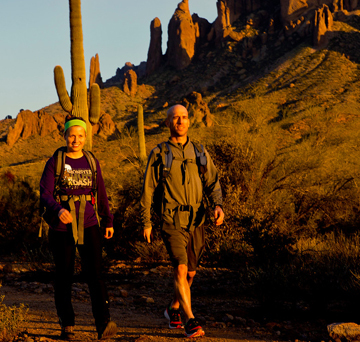 Stroll through the native plant garden or challenge yourself to reach the Flatiron, Lost Dutchman State Park has trails to suit any hiking enthusiast. 6 a.m. - 10:00 p.m.
Saturday - Sunday: 6 a.m. - 7 p.m.
Photo Permits are required to take photos at the park. Personal photo permits can be filled out at the park the same day.